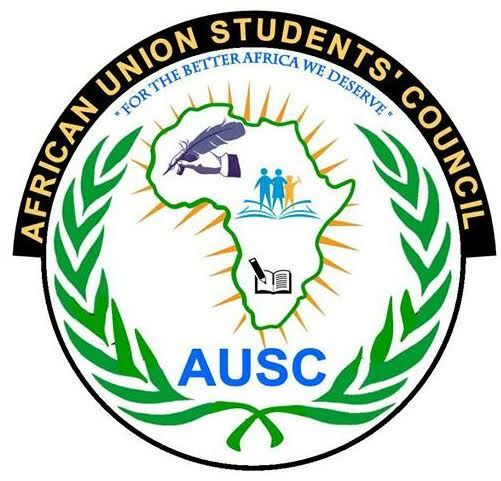 African Union Students' Council (AUSC) "For the better Africa We Deserve"
1. His Excellency Mr Iraguha Bandora Yves (Rwanda), Title: AUSC President. 2. His Excellency Mr Jomo Eric (Kenya), Title: AUSC Vice President for Democracy and Participation. 3. Her Excellency Miss Beza Girma (Ethiopia), Title: AUSC Vice President for Advocacy and Partnership. 4. Honorable Miss UWASE Marie Ange (Rwanda), Title: AUSC International Communication Officer. 1. Honorable Miss Ingabire Janet(Rwanda), Title: AUSC East Africa Regional Representative. 2. Honorable Miss Daly Marwa, (Tunisia), Title: AUSC Northern Africa Regional Representative. 4. Honorable Mr Enow Awah Georges Stevens (Cameroon), Title: AUSC Middle Africa Regional Representative. 5. Honorable Mr Blessing Lechane (Botswana), Title: AUSC Southern Africa Regional Representative. 1. Honorable Mr Andrew Tangan (Cameroon), United Nations, European Union, Fracophonie and other Non -Students' Organizations, Title: AUSC (UN) Affairs Representative. 2. Honorable Mr Oboth Julius (Uganda), International Development Students’ Society Title: AUSC (IDSS) Affairs Representative . 3. Honorable Mr RUHUZA Hubert (Tanzania), Commonwealth Students‘ Associations Title: AUSC (CSA) Affairs Representative . 4. Honorable Mr Nyikirize Pius, ( Uganda), African Universities Guild Councils Title: AUSC (AUGC) Affairs Representative . 5. Honorable Mr Macdonald Sayed (Botswana), African National Students' Associations Title: AUSC (ANSA) Affairs Representative. 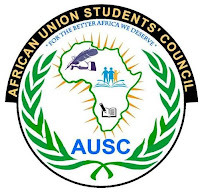 Copy Rights 2016, African Union Students' Council (AUSC)" For The Better Africa We Deserve". All Rights Reserved. Founded on January 1st, 2016, Paje Beach, Zanzibar Island, Indian Ocean, East Africa .